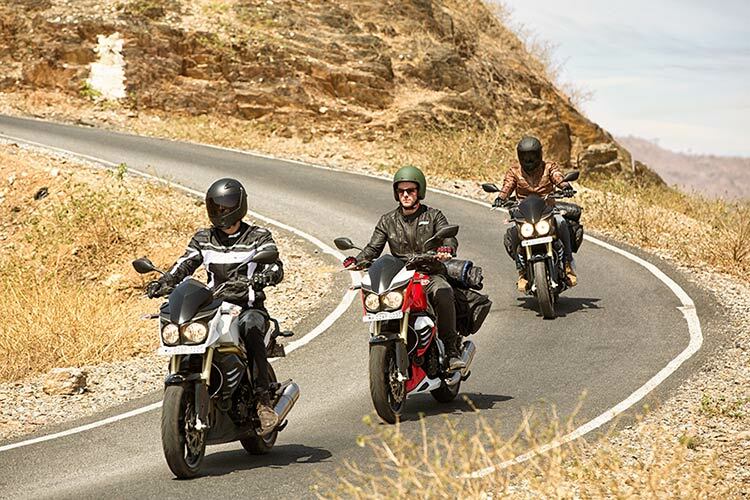 Mahindra MOJO, the flagship 300cc touring motorcycle from Mahindra Two Wheelers Ltd. (MTWL), debuted with a brand new advertising campaign called “Born for the Road” (#BornForTheRoad) which promotes the touring ethos of the MOJO while capturing the essence of the perfect road trip. Through this new creative campaign that promotes the thrill of riding along with your ‘Tribe’, Mahindra Two Wheelers (MTWL) aims to showcase the perfect road trip where the road is home and fellow bikers are brothers – where the Journey is more important than the Destination. To reinforce the touring connect, a re-imagined version of the iconic blues track, “Got My Mojo Workin’” has been released as the official Mojo Tribe Anthem and is also the soundtrack of the advertisement. The campaign’s anthem is an embodiment of the touring mentality – with the refrain “I was born for the road” capturing the core thought behind the new campaign. The MOJO comes equipped with a state-of-art engine with DOHC (Double Over Head Camshaft), Advanced EFI (Electronic Fuel Ignition), Iridium spark plug, resonator fitted intake system and twin exhausts that have been especially designed to produce a unique exhaust note. 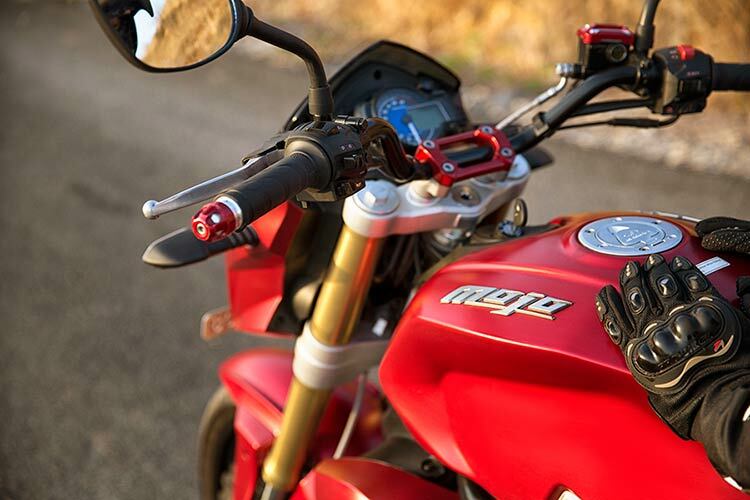 The motorbike has inverted front forks with a rigid triple clamp mounting and the largest 320mm radially mounted front disc brakes and Pirelli Diablo Rosso II tyres. These features are enhanced by a 21 litre fuel tank, the largest in its class, to ensure it can cover longer distances effortlessly. The handle bar and foot rest placement offer an upright riding stance that enhances comfort over long distances. The MOJO is currently available in 34 outlets across 19 cities and comes in colours including Volcanic Red, Charcoal Black, Glacier White, and the brand – new Crimson Matte. Our highly impactful brand campaign for the Mahindra Mojo has been created to generate high consumer awareness and promote the brand ethos. This Born For The Road campaign brings alive the trademark features of the MOJO that are loved by our customers. The unique concept of promoting brotherhood in an engaging manner is sure to grab the attention of viewers. In our endeavor to reach a wider and younger audience we have supported this new campaign on various social media platforms through innovative initiatives like #BornForTheRoad and Spin The Knife. The MOJO campaign is a 360 degree activation, which begins with the #BornForTheRoad initiative on digital and introduces this philosophy to the MOJO followers via social media platforms. This will be followed by the launch of the advertisement on TV. The campaign uses user generated content taken from existing MOJO owners (called the MOJO Tribe). It also has an on-road initiative with attractive Born For The Road points of sales kiosks (POS) at dealerships followed by a SpinTheKnife activity where the bikers spin a virtual knife on a map to figure out their next journey’s direction, thereby effectively building the touring credentials of the MOJO. 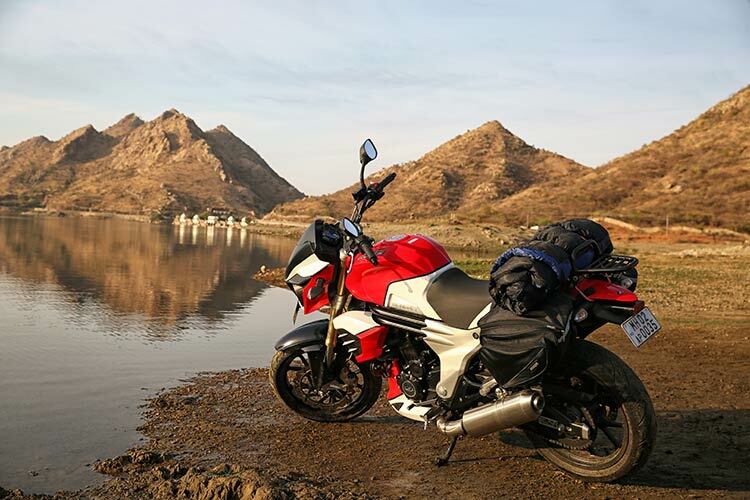 The campaign firmly establishes the MOJO’s position as a motorbike with long distance touring capabilities, for which it has been widely recognized since its launch in October 2015. At Flying Cursor, we’ve always been thrilled to work on MOJO and our aim has been to bring alive the tourer proposition in the most authentic, most engaging way possible and to capture almost every biker’s dream of taking to the road, with his tribe. Which is where the Born For The Road idea came from. In fact, we’ve always looked to create a connection with bikers that goes beyond the product, so if you look at the MOJO mobile app or the film, there are different ways in which bikers can truly experience the joy of riding and the feeling of a community. Together with the launch of this campaign, Mahindra Two Wheelers also brings focus on the biker community – the MOJO Tribe. The MOJO Tribe culture was launched in October last year, made up of MOJO owners. The core philosophy of the campaign –where the journey matters more than the destination – was recently exemplified with the Jungle Trail. Taking it forward, registrations are now open for owners and biking enthusiasts for the daunting and challenging ‘Mountain Trail’. Spread out over 15 days, the motorcycle ride will begin from New Delhi on July 24 and end at Chandigarh on August 7. The ‘MOJO Tribe’ will cover distance of over 2700 km, traversing through some of the harshest terrains and highest motorable roads in the world.